Ski bindings are often an afterthought for the beginner skier. It’s not until after a few tumbles, you might realize just how important these pieces of equipment are. 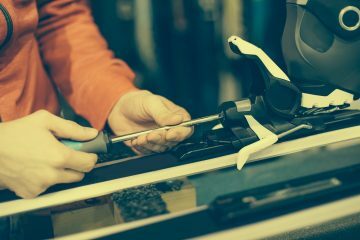 For advanced alpine skiers, as well as backcountry and tourers, getting the best ski bindings can transform your skiing. Good quality bindings designed for your skiing style will inspire confidence in you but they can also add some serious weight to your set-up. 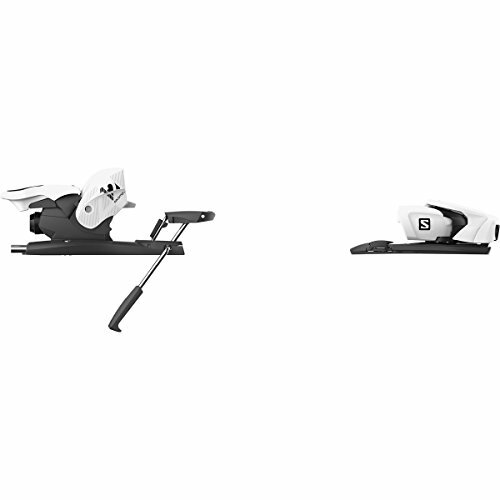 Ski bindings suited to you will allow you to push your limits and challenge your own ability, all while knowing that your bindings have your back. Ingenious pieces of technology, ski bindings can look complicated first off. We’ve broken down the must-know information on bindings so that by the end of this article, you’ll know exactly what you need. The most common type of bindings, alpine bindings are for downhill skiing and will be found on all downhill skis in the resort. Both the toe and the heel of your alpine ski boots clip into alpine bindings and stay fully clipped in unless you take a fall. 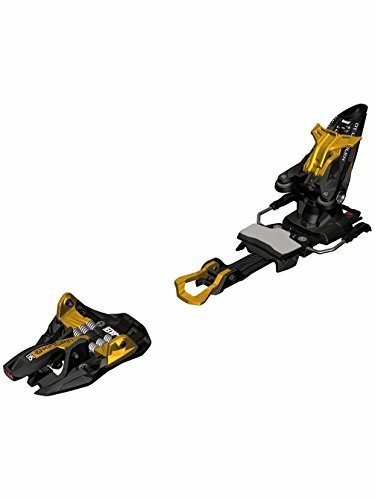 Some alpine bindings are also compatible with AT boots and WTR boots (described below). Touring bindings allow you to be clipped in at the toe but unclipped at the heel. This allows you to lift your heel and to gain the motion essential to ski-touring. When you’ve reached the top, you can clip your heel into the binding – effectively turning it into an alpine/downhill binding – and ski down. More often than not, you can even adjust your binding mode with your ski poles, making life even easier. 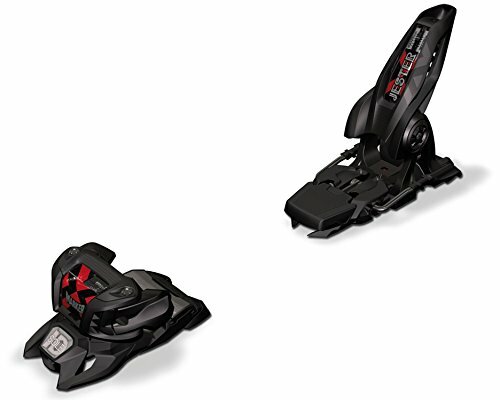 Alpine touring bindings come in two types. AT bindings (sometimes with frames) and tech bindings. While AT/frame bindings are great for touring and downhill, they are heavier and lift with your heel during touring. Some frame bindings are compatible with both traditional alpine/downhill boots as well as AT boots. Small, lighter and more streamlined, tech bindings are great for experienced ski-tourers who don’t plan on spending much, if any, time in the resort. 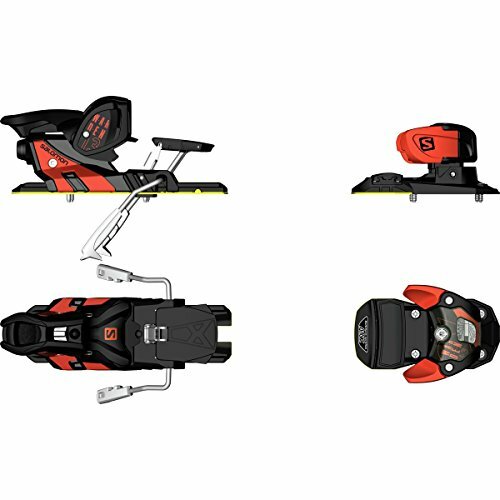 Requiring compatible tech ski boots, tech touring bindings allow you to lift your heel while the binding remains attached to the ski, eliminating that extra weight and proving much better for long hikes. 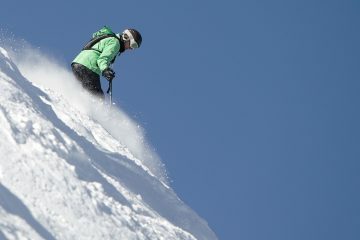 To prevent leg injuries in a fall, ski bindings are designed to release when a set force is applied. 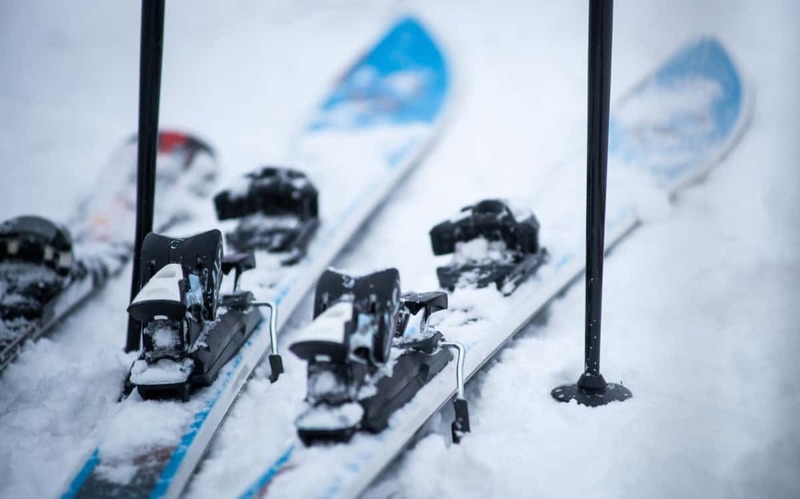 When you fall in certain ways, your skis will come off to prevent injury but similarly, you don’t want to pop off a side hit and find your skis fly off upon landing. That won’t look good in the GoPro edit! DIN settings are an internationally standardized scale that indicates the force required before the bindings release. 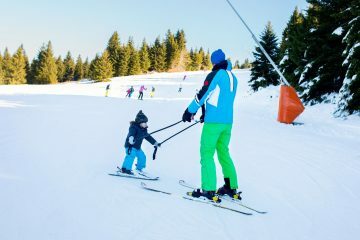 Beginner skiers, children, and lightweight skiers usually use lower DIN settings while expert skiers and heavier skiers will have higher settings. Alpine bindings traditionally have a wide DIN range around 3-12. Expert bindings might start from DIN range 7+, making them too high for beginner or even intermediate skiers. 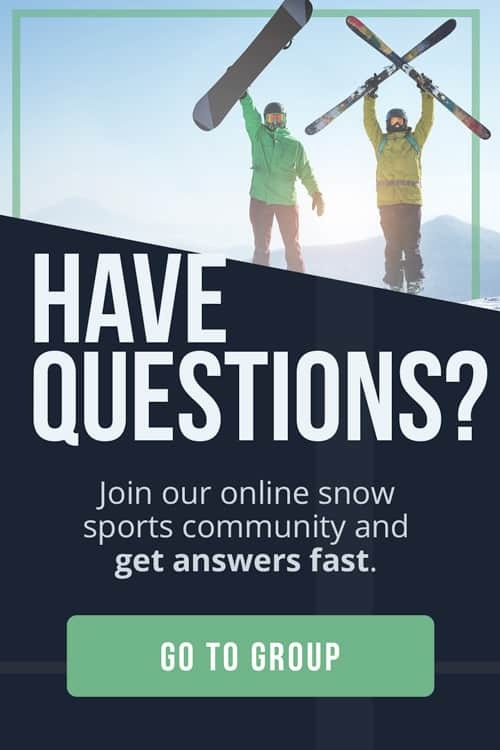 It’s easy to get an idea of your required DIN settings by inputting data like your height, weight and skiing level to an online DIN setting calculator. DIN settings should ideally be set by a professional. Standard alpine ski bindings come in many different weights and the lighter the bindings, the more expensive you’ll find them. However, for resort skiing and lift-accessed areas, the weight of your ski bindings shouldn’t affect you much. 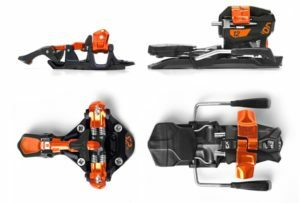 Backcountry and ski-touring are where every ounce of extra weight matters and it’s worth paying a bit extra for super lightweight bindings. Ski-tourers who don’t go to the resort at all may well prefer tech bindings which are fully stripped of any extra weight and make excellent companions on those long touring days. 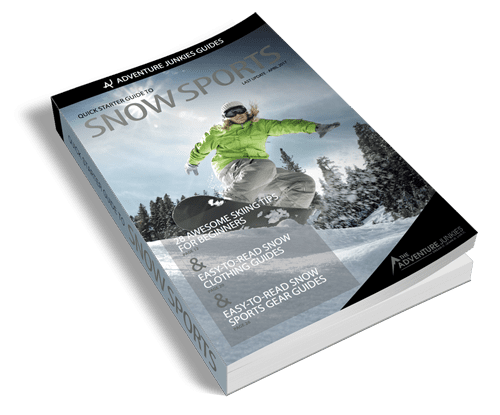 Ski binding brakes are little arms that sit flush with the ski while moving and pop down the moment your skis boots are released from your bindings – through a fall or by manual ejection. Brakes are designed to stop the ski from moving by itself. This is important in a fall as runaway skis can injure others or lose themselves in snow drifts. Brakes need to be wide enough to clear the edges of your skis but not so wide as to touch the snow while you’re edging like a pro. This means that you must know the waist measurement (center width) of your skis before buying your bindings. Your brakes must be wider than your skis! All alpine/downhill boots have soles that are compatible with alpine bindings and conform to ISO 5355. So for resort skiers, your boots are always going to be compatible with your bindings. The key is to have your bindings fixed to your skis by a professional once you already know your boot length (different from shoe size). 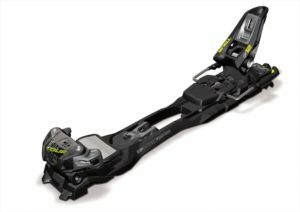 While alpine bindings are compatible with alpine boots, ski-tourers don’t have the same guaranteed compatibility. Tech bindings are only compatible with specific tech touring boots, limiting you to that specific set-up. Only a few companies make bindings that are compatible with both alpine boots (ISO 5355) and alpine touring boots (ISO 9523). 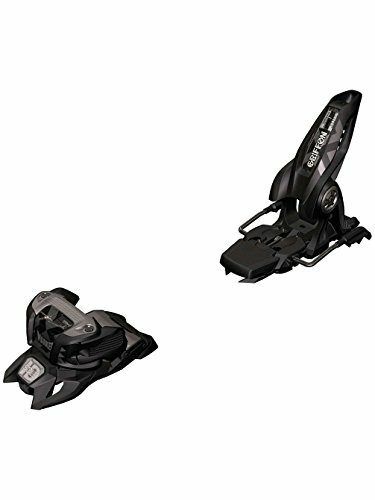 However, if you want to enjoy ski-touring and resort downhill with the same boots, you’ll need these dual-use bindings. WTR is an acronym that is popping up more and more and means Walk-to-Ride. These boots have more of a sole rocker (as opposed to the flat sole of an alpine boot) which allows you to walk with more ease than if you were wearing standard alpine boots. WTR compatible bindings are almost always also standard alpine bindings and some also work with touring bindings.